WORLDWIDE: Vestas and Siemens Gamesa are jointly looking to the skies for an alternative to costly and difficult road transportation of turbine components over long distances. The two leading turbine manufacturers are working together to explore the potential benefit of wind power players using airships. Manufacturers transport several thousand blades every year, and with blades measuring up to 80 metres (which is likely to rise) and weighing up to 25 tonnes, transportation is costly both in terms of time and price. This also poses challenges for drivers navigating winding roads. In fact, the logistics of turbine transportation by road is "reaching its limits", according to an invitation for dialogue sent out to airship firms. Meanwhile, the feasibility of airborne transportation of turbines is as-yet "unclear", the two companies add in the presentation seen by Windpower Monthly. Klaus Lynge Petersen, Vestas’ head of innovation and cluster technologies, and project manager for the collaboration, says the reasons behind the two companies reaching out to the airship industry are "quite simple". "Turbine components are growing bigger and bigger, and transport is reaching its limits in terms of reaching the most remote areas and areas with complex infrastructure systems," he explained. "Airships may be a cost-effective alternative to what we have today. Transportation costs are different around the world, and airships may be less sensitive to geography." Petersen explains Vestas has previously explored other alternatives to traditional road transportation for its turbines, and continues to look at other solutions. The company last year unveiled a demonstration turbine using a four-rotor concept. One of the benefits of the design, the company’s chief technology officer Anders Vedel told Windpower Monthly at the time, was the simplification of transportation requirements. Further simplification in transporting large blades could be achieved in segmentation and on-site assembly, Petersen suggested. Blades could be created in pieces, transported, and then put together just before installation. "Both of these solutions point to the same issue — transportation," he added. 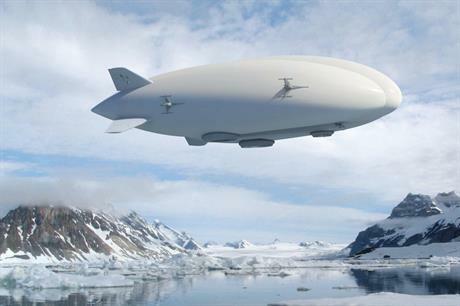 But the potential offered by airships is attractive, in part, because of their vertical landing and take-off capability enabling them to access harsh terrain without runways or remote areas with poor road infrastructure. "In a mountainous area, for example, it may be difficult to find a road," Petersen suggested, "while in a desert, where you have no trees and flat ground, you can easily go down." This new level of access may even open up new markets, Petersen suggested. But when asked where markets these might be, he answered: "I prefer not having an opinion on that for now." Whether it is through multi-rotor concepts, blade segmentation or the newly proposed airship solution, transportation remains an issue for all major developers in the wind power industry. Further, for airship companies to commit to tailoring new, larger models to meet the wind industry’s needs, they would need to build a business case and be able to point to a range of potential customers. It is this belief that makes Vestas' collaboration with Siemens Gamesa sensible, Petersen says. Vestas and Siemens Gamesa would first brief interested companies about their logistical requirements and invite them to introduce their business. 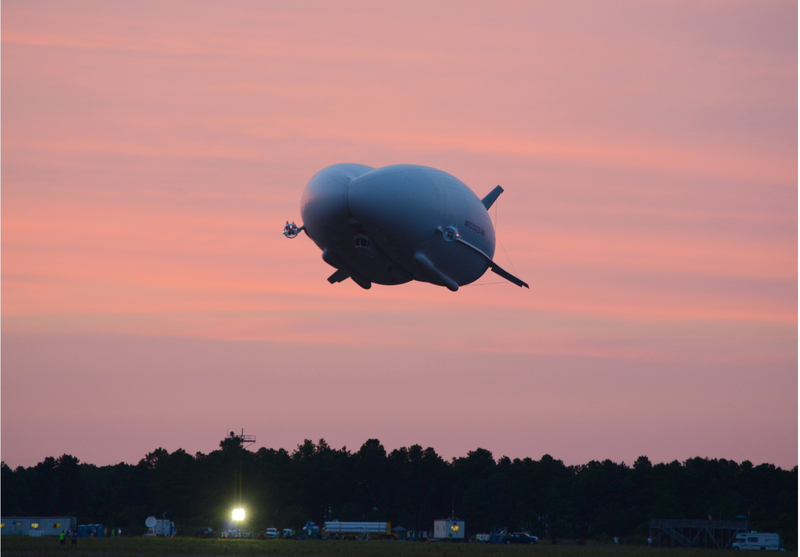 By March, the two OEMs would discuss with airship companies how the specific technical requirements — weight and payload, for example — can be met. The manufacturers would then internally carry out ‘high-level due diligence’ of the technical and commercial requirements and how they can be met. From July, they hope to begin a procurement process, negotiate contracts and reach a strategy decision. Vestas and Siemens Gamesa believe the airships currently available are "not suitable" for the wind power industry and that the feasibility of future designs and the relevant commercial boundaries remains unclear. Craig Neal, a post-graduate research student at the University of New South Wales in Australia, analysed the scale of potential cargo airships expected to enter production in the next four years, in industry magazine, the International Airport Review. Aeroscraft’s ML868, the largest such craft mentioned, would be 235 metres long, 90 metres wide, and 56 metres high with a cargo bay volume of 30,590 cubic metres. Aeroscraft spokesman John Kiele told Windpower Monthly the ML868 would have a payload of 250 tonnes. 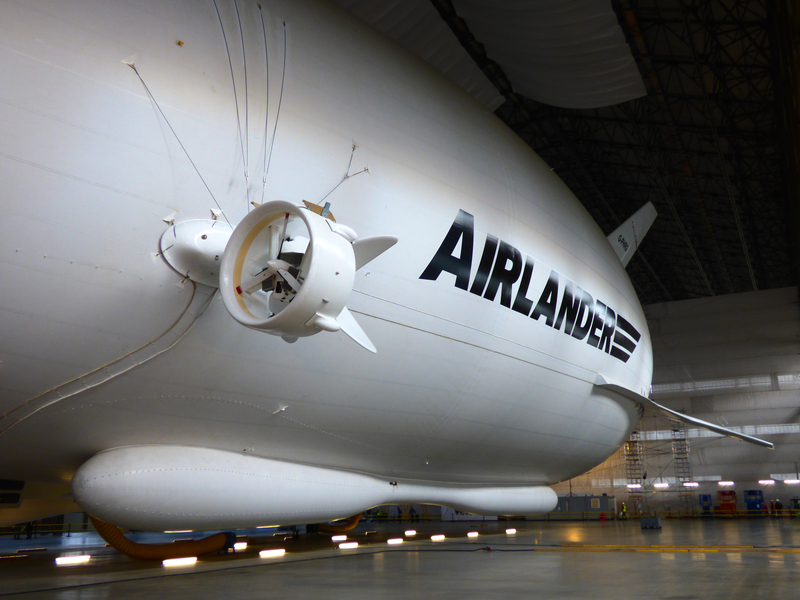 The airship successfully completed tethered testing in September 2013, but is not yet operational. Neal writes that modern and future airships are "well-suited to the transportation of cargo with its reduced priority on speed and the airship’s ability to offer a more cost-effective service". But current operational designs are currently only capable of lifting cargo of between two and three tonnes — a capacity Petersen describes as "really too little". Barry Prentice from the University of Manitoba’s Department of Supply Chain Management is the president of ISO Polar Airships, a research institute that promotes the use of airships for sustainable transportation in northern latitudes. He confirmed the cargo payloads of airships currently in operation — but suggested an upgrade enabling a payload of between 15 and 20 tonnes would be possible if a stable supply of customers would emerge and provide certainty to anxious potential investors. "Demand has been a problem that has plagued the industry," he says. "The people who might buy, or at least invest in, airships are uncertain about demand, so the possibility of having customers is marvellous." Vestas’ and Siemens Gamesa’s proposal could enable a renaissance of the airship industry, he believes, with the possibility of other industries getting on board as customers. For their part, the two turbine manufacturers say they would not be investing in airship technology, but would be "willing to commit to volumes for blade logistics". Their collaboration would "split the risk" for airship industries by creating more customers capable of providing greater certainty over volumes and orders, Petersen claims. This in turn would enable the airship industry to create a business case for developing machines capable of meeting the demanding — and growing — needs of today’s turbine manufacturers. "It takes more than just wind power for theses technologies to emerge," warns Petersen, however. "We need more customers to reduce the risks for the guys that will invest and develop airships. If we can add even more industries to split the risk with more shoulders that is better." Prentice, meanwhile, is more optimistic of the rejuvenating role the wind industry could play: "Currently there is not the assurance that there is going to be a market, but I think the wind turbine industry could kick-start this. That is a great economic incentive." He points out that in Canada, for example, roads in some areas are only accessible on 20 days of the year, posing challenges to maintaining food supply for the country’s more remote communities or establishing grid networks for them. Airships could be used instead of more traditional modes of transportation, he suggests, and could therefore meet other needs. "You need demand," Prentice explains, "and I don’t think the wind turbine market will slow down." Building an airship capable of carrying cargo weighing between 15 and 20 tonnes would inevitably require several demonstration models before deploying a commercial ship, but such a design is feasible, he claims. It might take two years to build the first prototype, and then a further three-to-four years "to have the first airship in the sky". He estimates building a demonstration airship might cost somewhere between C$25 and C$30 million ($20-$24 million), and possibly "four times as much" to reach the certification stage. As for how much an airship company might charge per journey, Prentice said there were "too many variables" to say. But he added: "I think it would be fair to say it would be competitive with current systems." Ernesto Soria, who is in charge of business development at Varialift, boasts the British airship company will complete a demonstration project capable of carrying a 50-tonne payload at altitudes of 30,000 feet at a ground speed of 300km/h — about a third the speed of a commercial passenger aircraft — in two years’ time. Further, the designs for the $30 million airship could be scaled up to carry 3,000 tonnes, he says. It would also minimise helium loss — a costly barrier to investors and the industry — by compressing and decompressing the gas to control pressure and prevent it escaping. The prototype is funded privately by unspecified corporations "in the logistics world", Soria says. However, he concedes many potential investors are sceptical about his company’s lofty ambitions, but remains optimistic and believes Varialift will become more attractive after successful testing. "There are a few investors who want to work with us, but they want to see it first," Soria told Windpower Monthly. "I don’t blame them." Plentiful, heavy-duty customers — such as turbine manufacturers — would help boost the company’s business case and encourage investment capable of providing financial certainty. "By default, most of the customers would be (transporting) large, large objects that can’t be moved in any other way," Soria says. Accordingly, the wind turbine industry would make a perfect customer, he adds. While Vestas and Siemens Gamesa are looking to the airship industry to help them maintain the pace of wind-power development as turbines grow larger, the wind-power industry could rejuvenate the airship industry, Prentice believes. "Since the Industrial Revolution, every 50 years or so, you see a technology breakthrough that defines the next half century of transport," he says. "With the right conditions met — customers, demand, and sufficient investment — the cargo airship could be the technology of the 21st century that will open up a whole new realm for transportation." Still, in the invitation sent out to airship companies, Vestas and Siemens Gamesa write that "without an ongoing dialogue (they) don’t see the airship technology developing towards (their) needs". Blades on Vestas’ current fleet of turbines are between 44 metres (the V90-2.0MW model) and 73.7 metres (the V150-4.2MW model) and typically weigh between 12 and 15 tonnes and sometimes more. To carry three or four blades, airships would need a payload of about 50 tonnes, Petersen claims. As blades get longer, their weight may also increase, he adds. However, he believes it is "not likely" that they would ever be too long for a future fleet of airships, assuming 200-metre-plus cargo bay lengths. Nevertheless, he concludes: "We need a higher payload." The two companies say they are collaborating because they have a "shared interest" in the generation of technology to aid transportation of heavy and bulky cargo and in developing scale and volumes to drive business cases for airship transportation. Petersen foresees the idea first being tested in more mature markets, but for projects with difficult transportation routes. Eventually, he hopes trial and error, as well as persistence, would make it a "proven technology". Would the Vestas-Siemens Gamesa collaboration on airships last beyond the incubation phase for crafts being tailored to the wind power industry’s needs? "No", Petersen says. "Collaboration is only to make this technology emerge. After that it is pure competition." However, he teases: "There are more areas that are common to the industry where we can join forces." But when pressed on what these might be, he replies: "I can’t yet say."